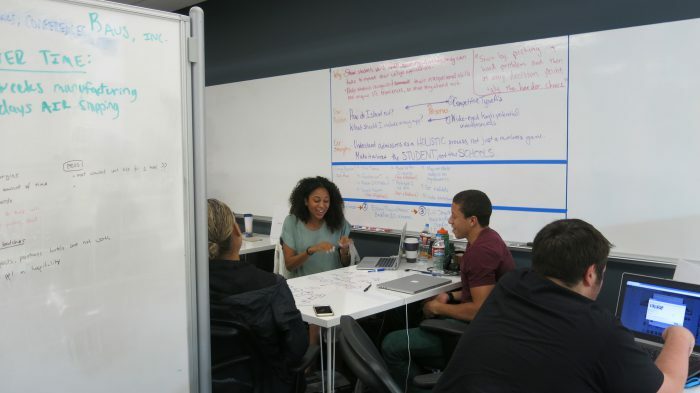 Startup UCLA is hiring an intern to assist with Startup UCLA’s 2019 Summer Accelerator! Going into its 8th Summer Accelerator, Startup UCLA has helped produce 66 Bruin companies and fostered hundreds of students through the Summer Accelerator and venture consulting. This internship extends through the duration of the Summer Accelerator (June 24 – September 13, 2018) with the potential for extension into the 2019-2020 academic year. Interns are expected to work 20-25 hours/week with a tentative expected schedule of Monday 2-7pm, Tuesday/Wednesday 4-9pm, Thursday 10-3pm. These hours are based on our weekly events. We are looking for UCLA undergraduate students interested in startups, entrepreneurship, marketing, and events. The ideal candidate is someone who is comfortable wearing many hats and working in a startup environment where no two days are the same. As part of interning for Startup UCLA you will witness great entrepreneurs telling their stories, meet top venture capitalists, subject matter experts, etc. To apply send your resume and cover letter to startup@college.ucla.edu with the subject line “Startup UCLA Summer Accelerator 2019 Intern” by April 28, 2019.